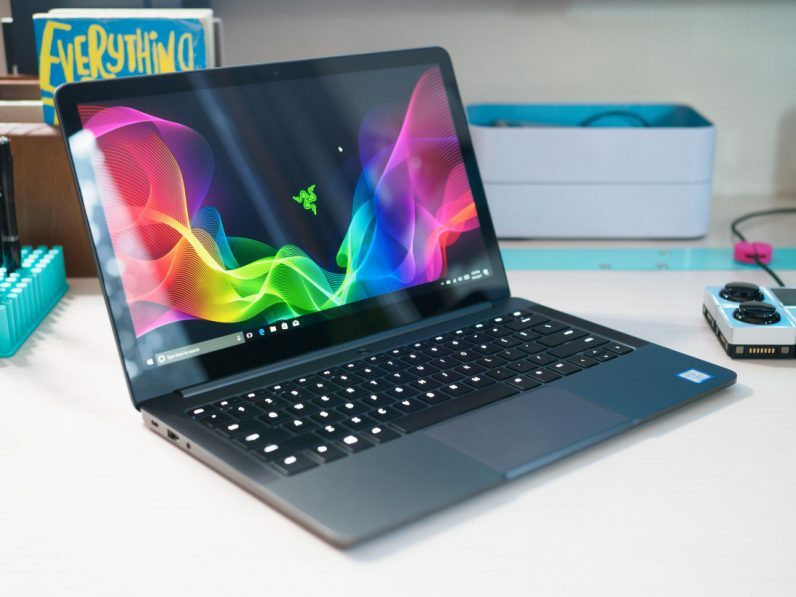 Razer has a penchant for rapidly upgrading it’s laptops, so when I reviewed the company’s Blade Stealth laptop a few weeks ago, it was with the reservation that it would likely be upgraded to Intel’s latest processor by the end of the year. Well, surprise, Razer has upgraded the Blade Stealth. This time though, it’s more than the usual small performance bumps between generations. Kaby Lake R, as Intel’s 8th-gen mobile chips are called, is said to provide a 40 percent boost in performance for multi-tasking applications. That’s because rather than two cores, it has four – something normally reserved for Intel’s more power hungry chips. Considering the Stealth is aimed at power users who want an ultra-portable, it’s a welcome upgrade. Razer also suggests the Blade Stealth will have an hour more battery life (10 hours total), which is a nice bonus. That said, don’t expect it to provide a big boost for gaming – the Stealth uses integrated graphics unless you connect a GPU dock – but it should significantly improve the laptop’s performance for things like video editing or multitasking. Those extra cores will cost you though; the 8th Gen configuration starts at $1,700, including a 512GB SSD and 16GB of RAM. Speaking of GPU docks, the Razer Core is getting some important upgrades too. The Core V2 now includes two Thunderbolt 3 controllers, which basically you can use it as a USB and Ethernet dock without worry about it hurting your graphics performance much. The Core V2 also accepts a wider variety of graphics cards, including Nvidia’s workstation-class Quadro cards. It will retail for $499, and is available to order now.